For a traditional and/or short story, I always start with my Baby Names book and flick through until I find something that catches my eye. I usually have an idea of what letter I’d like my character’s name to start with, based on what type of person they are—softer, gentler people may start with a vowel, or an H or L, for example as these are gentle on the tongue, while for a more feisty type of person I’d choose a name beginning with D, K, T or V. Equally it’s fun to do the opposite and see what that does to a character—give a villain a name with a soft consonant, for example. If I’m writing an historical, I’ll refer to the history section of the book and choose a classic name for the period—like Richard, John or Henry for medieval. For Heartwood, my epic fantasy, I had to step out of the box a little. Heartwood is a traditional fantasy in the sense that it has a medieval setting with castles and knights, and I very much wanted the reader who was familiar with this period to feel at home in Heartwood. I complicated matters by having four distinct lands in my country of Anguis, and although all four races are human, they needed to have names that were similar enough to sound as if they originated from the same source. In the end, I searched in my Baby Names book and on the internet for three distinct groups of names: Old English, Old Germanic and Celtic. From these I picked names that sounded familiar but had a different spelling—such as Grimbeald and Leofric from Old English, Chonrad and Hariman from Old Germanic, Fionnghuala and Bearrach from Celtic. In the fourth country we don’t meet many named characters, but I made the place names up, keeping them short and sweet—Brant, Rawle, Darle. I did the same with place names for the other countries, making them up but attempting to keep them distinct. For the “Celtic” country I thought of Eire and came up with Hanaire for the name of the land, and the placenames are similar, Mortaire, Fintaire. For the rougher land of Wulfengar, I have Redgar, Franwar, Kettlestan, Ornestan. For the slightly more elegant Laxony, I have Vichton, Henton, Setbourg and Cuddington. I hope that this helps give each of the four countries a distinctiveness as the characters travel through them. My biggest challenge, however, was to come up with names for the Heartwood knights. These are like Templar knights—holy warriors who pledge their lives to defend the holy tree. I wanted something more formal to reflect their dedication and military background, and eventually I turned to Latin. Anguis—the name of the country—means dragon in Latin. The Heartwood knights are called Militis, which means soldier. The army is the Exercitus (which means, not surprisingly, army.) The names of the rooms in Heartwood are based on traditional monastic places like the claustrum (cloister). The character names were the most fun, and these Latin words reflect the character’s personalities. Procella, the leader of the Exercitus who’s strong and feisty, means storm. Beata, a gentle and pleasant knight, means happy. The twins are Gavius (rejoice) and Gravis (serious), and their personalities reflect this. Caecus, which means blind, is so named because—yes, you’ve guessed it—he’s blind in one eye. Nitesco, the librarian means “start to shine”, and he certainly does as the story moves on. So if you’re writing your own story and you’re stuck for names, what would I suggest? A good tip is to look at the meaning behind a name and pick one that suits your character’s personality. Try to keep in period—if you’re writing an epic fantasy that has a traditional medieval feel, you can’t really have Tracy or Tiffany as names like these—even if they have origins in the past—have a modern feel. Try not to choose names for your main characters beginning with the same letter as it can be difficult for the reader to tell them apart. Names are important and have meaning; there’s nothing worse than being stuck with something you don’t like and I’m sure characters feel the same. My grandmother was Hilda Alice Marie and hated the fact that her initials spelled HAM. Say your chosen names out loud too—can you see the problem with creating a fantasy female character called Lunar Sea? Freya Robertson on Twitter, Facebook, and Web. The next guest on the blog is Michael J. Sullivan and his post will go up this coming Monday on the 27th. The full schedule is available here. Posted on January 23, 2014, in Debut Authors Guest Series, Guest Posts and tagged 2013 Release, 2014 Release, Angry Robot Books, Debut Authors Guest Series, Elemental Wars, Fantasy, Freya Robertson, Guest Posts, Heartwood, Names, Names A New Perspective, NANP, Romance, Self-published, Sunstone, The Importance of Names, The meaning of Names, The Significance of Names. Bookmark the permalink. 3 Comments. Say your chosen names out loud too—can you see the problem with creating a fantasy female character called Lunar Sea? The bit about Tiffany being a medieval name *still* cracks me up. 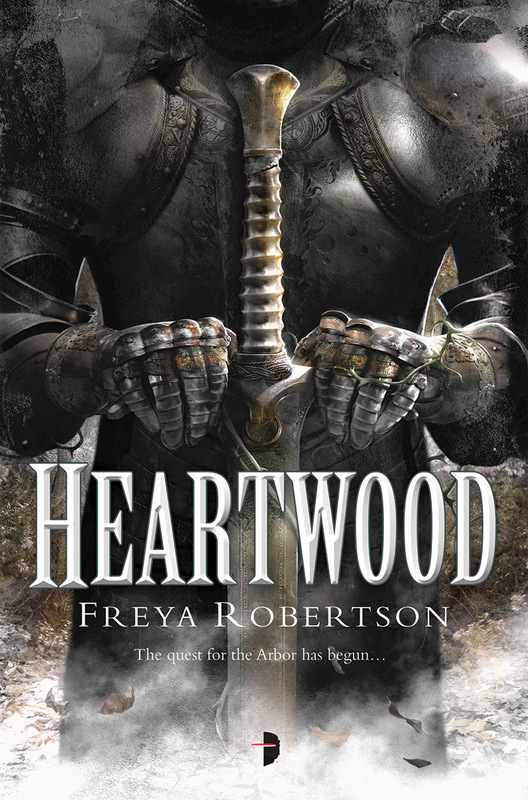 Pingback: Review | Heartwood by Freya Robertson [Contributor] | Attack of the Books!